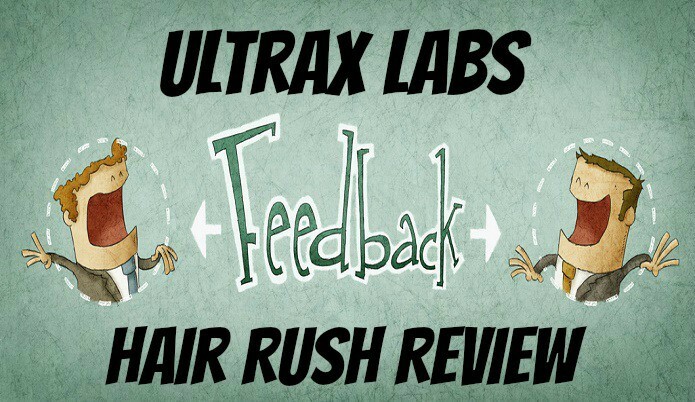 In this article I’ll be giving my review on Hair Rush by Ultrax Labs. This supplement is targeted to increase hair growth, while helping prevent hair loss. For someone who doesn’t have any bald spots I wanted to see if it helped speed up the rate of growth of my hair in general. 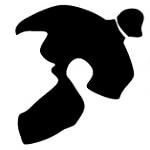 I used this product over the course of three months to try to get an accurate as possible idea on whether or not it worked. For the first month I didn’t notice much, going into the second month it did seem my hair was getting a longer quicker than usual (measured per month with my finger). This growth rate continued at this increased rate all the way until I stopped using it. *Note I stopped so I could see how the growth rate was affected without taking Hair Rush. After I stopped taking hair rush for about a month I noticed my hair growth rate had went back to its original pace. Contains essential vitamins needed that you might not get through your diet. Noticed less hair coming out in the shower. Increased hair growth speed noticed. 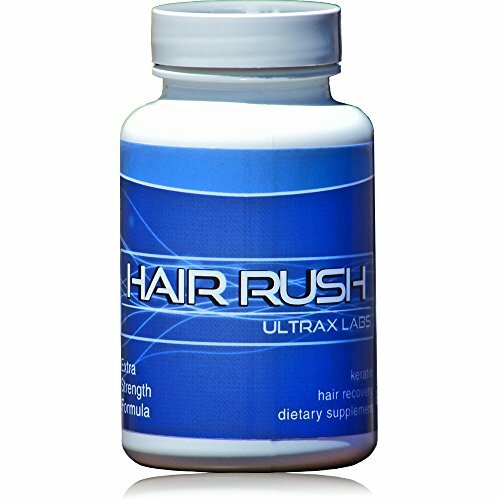 So does hair rush work? From the limited testing I did, I will have to give the nod and say yes it does work. Even though the increased hair growth rate isn’t anything crazy like an extra inch a month or anything the slight increase is still something I would have definitely used when I was trying to get longer hair when it seemed to be taking an eternity to grow. Overall if you are tired of feeling helpless on how fast your hair grows then this is something you should look into. I spent almost a full year in a hat while waiting for my hair to grow long enough to look decent and I wish I would have had this to help speed up that rough awkward stage. 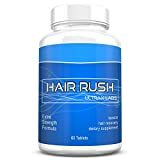 Ultrax Labs Hair Rush | Maxx Hair Growth & Anti Hair Loss Nutrient Solubilized Keratin Vitamin Supplement, 60 tablets. This is a well thought out product and major props to Ultrax Labs to putting something that was much needed out there. The only suggestion I can give you with this is buy enough at least for 2 months because it does seem to take a few weeks to a month before I guess it really gets enough in your system. Not exactly sure on the details of why but that is about how long it took before I noticed it start to work in terms of making a difference in the speed rate of my hair growth.